The iPad is, for most, a very expensive toy. Sure great game apps are to be enjoyed and beautiful to look at, but what makes you keep coming back to the iPad is productivity and convenience. To get it to be that for you, it’s all about the right apps. A newcomer on the iPad app scene has impressed this reviewer and has the potential for unlimited possibilities. 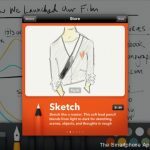 Paper by FiftyThree is a drawing and sketching app that makes your work into a work of art. Whether note-taking or story-boarding, Paper brings your ideas to the digital media stage. First opening the app you can see it has already been organized for you in notebooks. Add as many notebooks as you want, keeping things focused and your ideas grouped together. 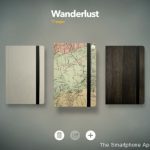 You can name each notebook and even design your own covers by importing a personal photo. One notebook has even been filled in for you. 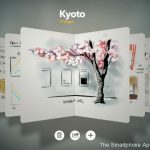 Named “Making Paper”, it’s 21 pages of examples of what Paper can do, all illustrated with various tools within the app. The app comes with an eraser and Draw tool. The Draw tool is an ink pen that has a custom ink engine that reacts to your movements. The ink lines will thicken or thin depending on how quickly you move. What I love most is that is smooths your lines out, creating a very sleek and stylized look. Great for outlining and graphic projects. You can also use the pen for note-taking, easily jotting down ideas or lists with your own handwriting. 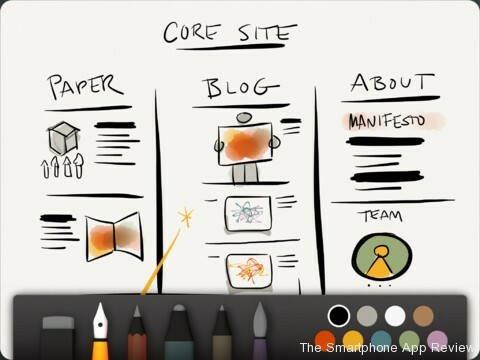 There are several other tools within the app as well; Sketch, Write, Outline and Color. 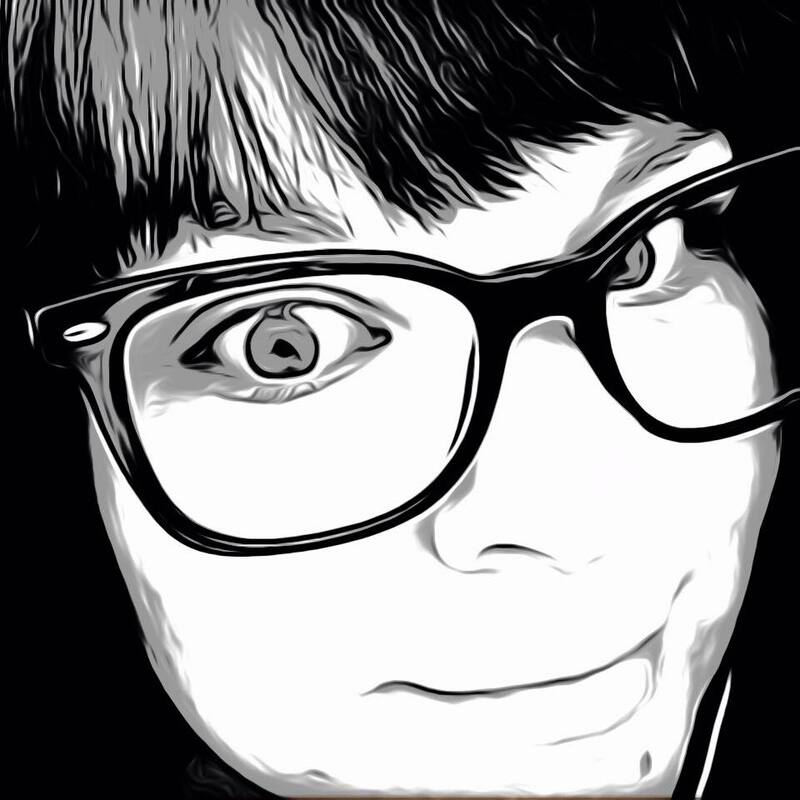 Sketch delivers a realistic pencil sketch effect, Write and Outline are more like markers with thin and thick points and Color is a paint brush that gives a water color looking effect, complete with light and dark washing. I was very impressed with how these tools performed, especially the ability to blend colors. One thing I would like to see though, is more colors. Currently the app comes with only nine. All the tools are available only through in-app purchase with each costing $1.99, or the The Essentials kit with all tools is $7.99. To convince you to buy each tool, FiftyThree has included the ability to try out each tool within the app, which is very smart. At first you might think, “$8 dollars is just too much!” Then you try them all out and can definitely rationalize how useful the purchase can really be. Paper by FiftyThree includes all of this creativity with Retina Resolution for the New iPad. And what app isn’t complete without being able to share your creations. Share instantly to Tumblr, email, Facebook or Twitter. The app is currently free for iPad and definitely a must have for those who have acquired Apple’s Third Generation. It might not beat apps like SketchBook Pro with all its fancy tools and settings, but it’s not trying to be. The idea is simple and beautifully done. You just have to see it to believe it.